Krong Siem Reap City Tours and Local Experiences from Local Guddy Full Day Angkor Discovery Tour We’re heading out at 8.00am to visit the South gate of Angkor Thom, was the last and most enduring capital city of the Khmer Empire. The gate is atop 4 giant smiling faces then particularly visit Bayon temple consisting of more than 200 smiling faces in stone and admired by interesting surroundings such as the terrace of elephants, the terrace of the leper King, Baphuon and Phimeanakas. Continue to reveal the intertwined Ta Prohm jungle temple adorned by the stunning tree roots, and where Lara Croft – Tomb Raider was filmed. Afternoon, we visit magnificent Angkor Wat – the largest religious monument, also well-known as the 7th Wonder of the World’s. This incredible complex was originally constructed as a Hindu temple of god Vishnu for the Khmer Empire, gradually transforming into a Buddhist temple toward the end of the 12th century. We unlock the greatest history, observe the unique architecture, styles, decoration and so on. Evening, we resume visit beautiful sunset at Phnom Bakheng (limited allowance). Transfer back to hotel. What included? 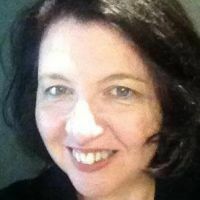 – Experienced local English speaking tour guide. – Transportation for the whole trip. – All taxes and service charge (except departure tax). – Cold mineral drinking water & wet tissue. Requirement! This tour is required valid Angkor Pass. If you haven’t purchased it, our tour guide will help you with this when you’re on the tour before exploring Angkor temples. 1-day pass cost officially $37. 3-day pass cost $62 whose validity is within a week. 7-day pass cost $72 whose validity is within 30 days. 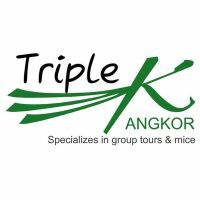 Triple K Angkor Travel C.
Planning a travel to Krong Siem Reap? Login to create your trip plan so the guddies can offer you their tours!